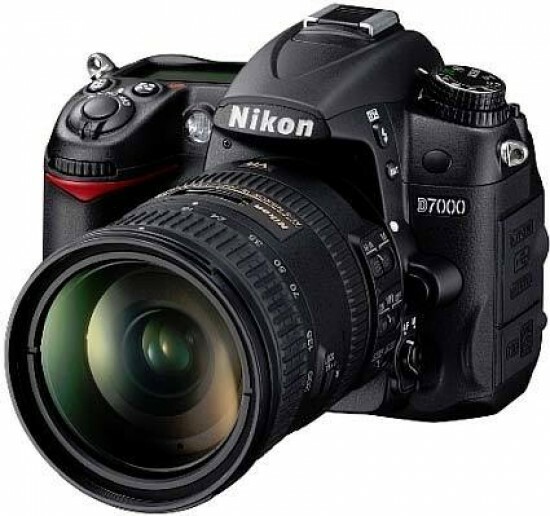 The Nikon D7000 is a successful crossbreed of the cheaper D90 and the more expensive D300s, borrowing features from each model and adding enough new highlights to surpass them both in many ways. Just like the Canon EOS 60D, the Nikon D7000 has been carefully positioned within the Nikon DSLR lineup without stepping on the toes of the cameras around it. For potential upgraders from the D90, the D7000 is a tempting proposition, and it's even a worthy alternative to the D300s. The D7000's 16.2 megapixel sensor makes it the highest-resolution Nikon DX DSLR, and thankfully that hasn't come at the cost of detracting from the image quality, which is excellent. There's virtually no noise from the base sensitivity of ISO 100 all the way up to 3200, with the higher settings of 6400, 12,800 and even to a lesser extent 25,600 all perfectly usable for smaller prints - very impressive for a 1.5x sensor. Exposure, colour and white balance were all uniformly reliable, with the option of the RAW format if you want to take control. Only the lack of any control over noise reduction using the ViewNX 2 RAW editing software supplied in the box detracts slightly from an otherwise impeccable performance. Videographers are also well-catered for, with Full 1080p HD video at 24fps and the ability to get creative with manual controls a real highlight. The option to focus automatically during recording is also a selling point, at least on paper, but in reality the D7000's contrast AF system is just too slow to keep up with fast-moving subjects, accompanied by an annoying whine that's audible in the video. While the full-time AF mode is adequate for casual use, more serious videographers will get better results from manual focusing instead. The lack of an articulating screen is also something of an oversight on an otherwise well laid-out and easy-to-use camera that takes the tried and tested interface of the D90 and makes a few well-considered tweaks, with the exception of the awkward drive mode dial. It's very hard to choose between the D7000 and its main rival, the Canon EOS 60D. The D7000's full-time AF mode during movie recording doesn't really make the grade and it lacks the 60D's vari-angle LCD screen, but it does offer slightly cleaner images at higher ISO speeds, more refined AF mode, slightly quicker burst shooting and a more durable magnesium body. It's certainly a close-run thing, though, and if you have no vested interest in either system you'd be well-advised to try them both at the same time to see which control layout you prefer. For D90 owners, the D7000 is a great upgrade and even a real alternative to the more expensive D300s. The Nikon D7000 is a fantastic addition to Nikon's DSLR lineup and is a well-deserved recipient of our Highly Recommended award.